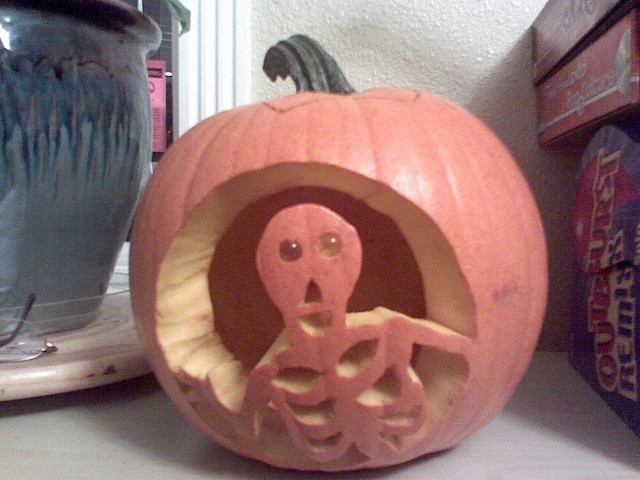 Unlike many people I know, when I was a kid, I never carved a Jack O’Lantern for Halloween. I got dressed up and went trick or treating, but the pumpkin thing just didn’t happen in my family. 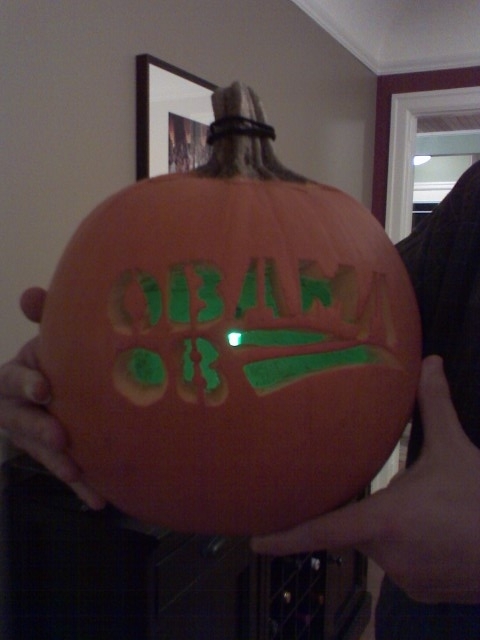 Barack O’Lantern stencils are available through Yes We Carve. 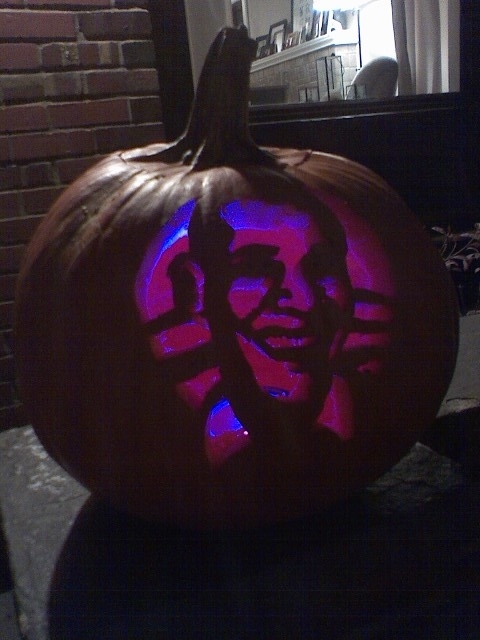 The photo gallery of Barack O’Lanterns from across the country is really cool. Here’s a purely non-partisan pumpkin I carved (with help from my friend Kara) for folks who don’t like to mix politics with their squash. Happy Halloween! I don’t care for prepared salad dressing (it takes less than five minutes to make your own), but on the rare ocassion when I do buy some, it’s usually a bottle of Newman’s Own. They are made of quality ingredients and consistently taste good no matter what variety you try. And the profits go to charity! After Paul Newman passed away last week, I bought some Lite Caesar in tribute to him. I love the labels on the Newman’s Own products. They all feature Paul Newman in some form or another. The Lite Caesar has a Roman bust in Newman’s likeness. The fig newtons show Newman and wife Joanne Woodward dressed as the farmer and wife from the American Gothic painting. I think this shows that Newman never took himself too seriously, and I like that he often made fun of his good looks. Here’s to a great actor, philanthropist and salad dressing king (his pasta sauces aren’t bad either).